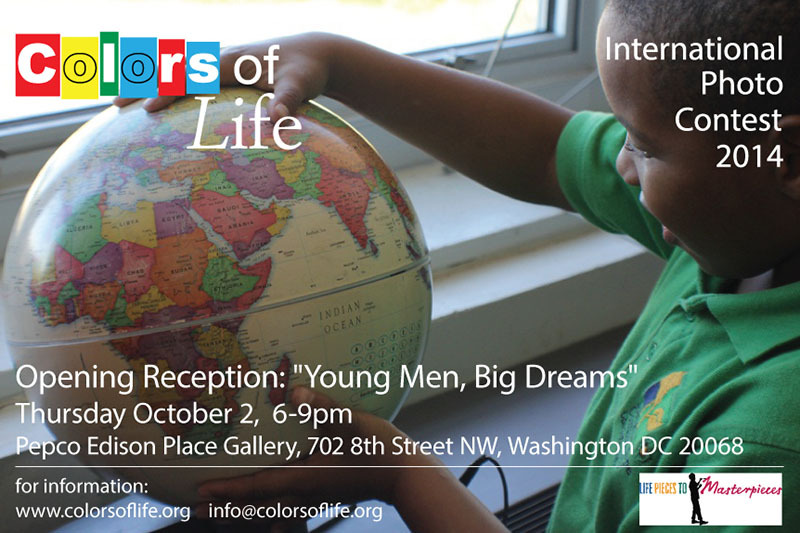 COURAGE ON CANVAS/ YOUNG MEN, BIG DREAMS (month-long exhibit). Fifty artwork created by LPTM’s young men and boys will be exhibited along with finalist 25 photos of the 2014 Color of Life International Photo Contest. Come see the amazing work of renowned international photojournalists who have participated in this year photo contest: GMB Akash, Istvan Kerekes, Gali Tibbon, Jonathan French, Goran Jovic, Neca Dantas and many others. The 5 winning photos will be announced by Mr. Robert Houston. Houston’s Work has been exhibited in many places including The Smithsonian Museum of American History, James E. Lewis Gallery at Morgan State University, University of Maryland College Park, University of Maryland Eastern Shore, Frostburg State University, Baltimore Museum of Art. His work is currently on display at the Miller Senate Office Building. His photographic skills were also featured in Life Magazine and at the Poor People’s Campaign in Washington, DC in 1968. Houston is most proud of his portrait of Dr. King taken in 1967 in Boston.